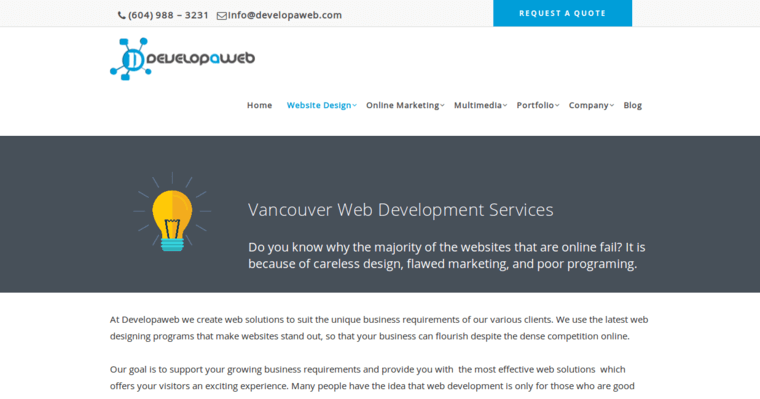 Developaweb is a website design company from North Vancouver that's known for their innovation as well as their clear and simplistic design style that leads to the creation of modern websites. Their design team focuses on making sure that the end design is informative to the target audience while also being user-friendly, which means that they prioritize short load times. Their primary goal is to turn potential visitors into real customers, which they achieve by offering designs that are 100 percent customizable instead of template-based. 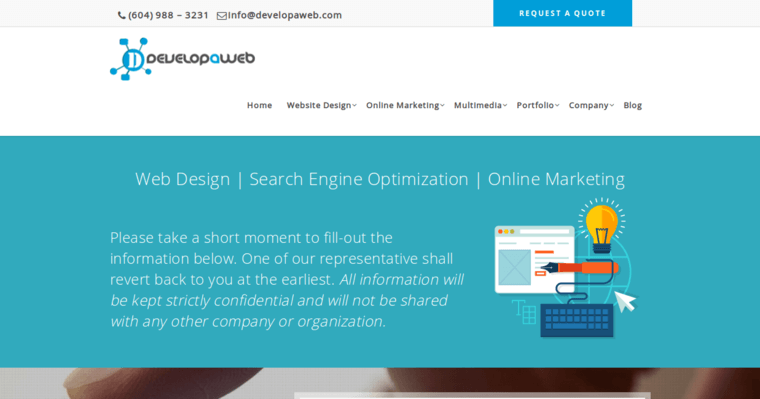 Although they strive to build websites that are good-looking, they also believe that the most important thing is to make sure that the customers needs are addressed in the design. Each of their websites are built with a responsive design to accommodate mobile devices, while their design process starts with making a plan before moving onto the design phase. 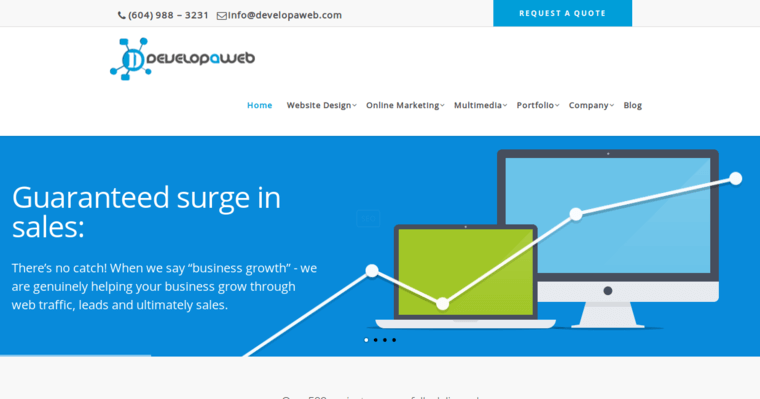 Following completion of the design, they then build the website before launching it.